Illinois, Ohio, Colorado, Texas, Georgia... Bruce is headed your way next week! 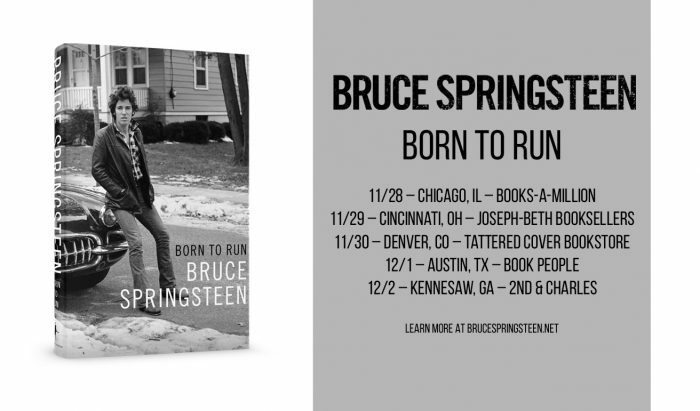 Tickets for all Born To Run events go on sale tomorrow, November 22. Check our Facebook Events for more information and ticket links!